The Archives and Library of Canterbury Cathedral welcome all researchers with interests in our collections. Access to the collections of the Archives and Library is provided according to our Access Policy. The reading room for the Archives and Library is equipped with computers for public access and WIFI is available. Visitors can use microfilm and microfiche viewing equipment and there is a self-service reader-printer for making copies from microfilms. 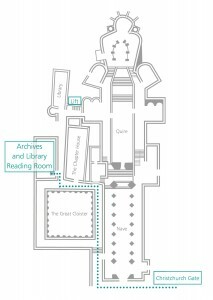 The reading room is open by appointment by contacting archives@canterbury-cathedral.org or telephone 01227 865330. 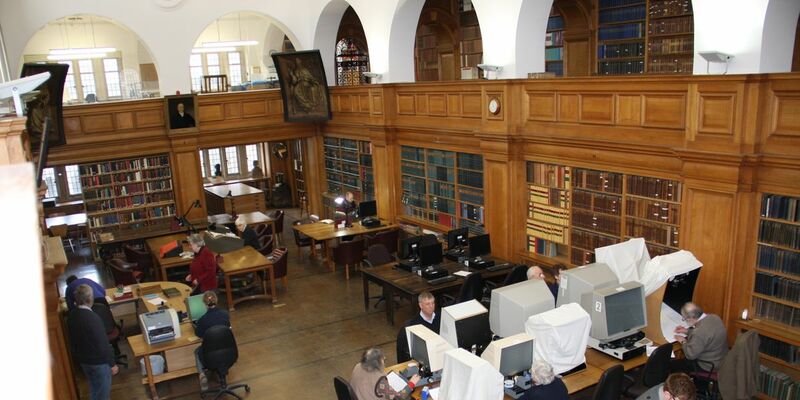 Bookings can be made for a reading desk, a computer, or a microfilm/fiche reader. For Saturday openings all documents and books must be ordered in advance. Depending on staff availability, group visits may be arranged through the Visits Office. Preferred days are Monday and Fridays when the Archives and Library are closed to the public. Visits will be tailored to the interests of the group. 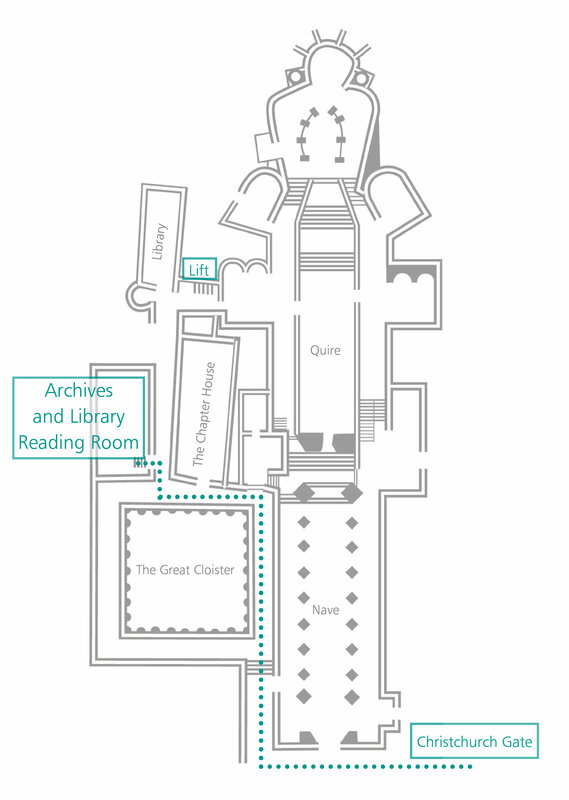 Researchers are required to register for a reader’s ticket which we can issue when you visit. Please bring with you some form of photo ID and a document which proves your address. During our Saturday opening (first Saturday of the month, 9.15 to 12.45), a member of the Canterbury Branch of the Kent Family History Society will be on hand to provide advice on family history research. S/he will be happy to discuss getting started on family history and new avenues of research. Sessions run 09:15-10:30 and 10:45-12:00 – please contact us to reserve a place. For more information about the branch, and useful information about family history research in the Canterbury area, see https://www.kfhs.org.uk/canterbury. We offer a range of reprographic services: please see our price list. We also offer self-service photography in our reading room: please see the permit application form for further information. Those wishing to publish images from our collections should complete our permission to publish form. The Archives will respond to routine enquiries about its collections. We aim to respond to all enquiries within 10 working days. For commissioning genealogical research and other detailed research on our collections, please see our Independent Researchers list. The Cathedral Archives collects according to the Cathedral’s Collection Development policy. Material can be accepted as a gift, loan (deposit) or bequest. See here for our gift and loan agreements. Please contact us to arrange the delivery of new material. Lambeth Palace Library where the papers of the Archbishops of Canterbury are held. See also for useful research guides. Kent History and Library Centre for the County Council’s archive centre. Special Collections and Archives at the University of Kent where the papers of Dean Hewlett Johnson, and other archive collections are held.